I'm a busy lady. So I like finding easy tricks to not spend a lot of time getting ready each morning and still be able to feel put together. 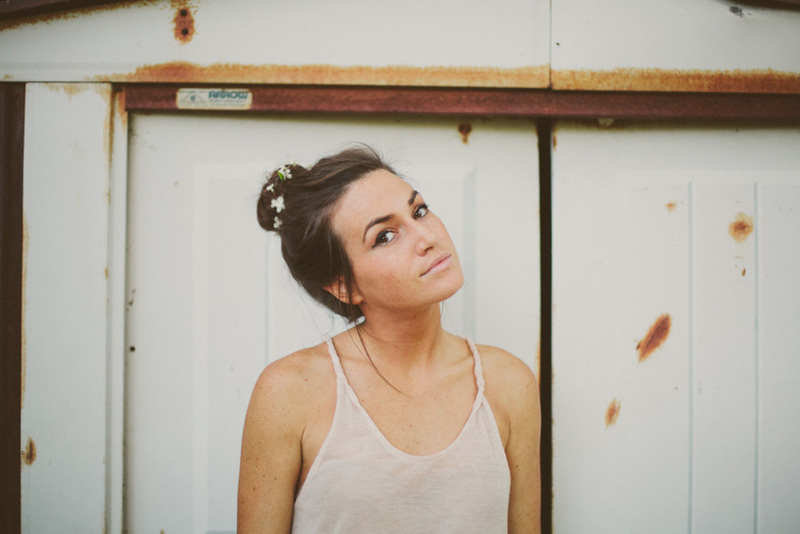 Top knots are usually my go to hairstyle during the week, but wearing a bun over and over can start to get old. When I first saw a floral bun wrap in the stores, I knew I had to have one. The ones I saw had an elastic band in the back, but I wanted to make one that has flowers all the way around. This means it needs to be customized to fit your hair, depending on how thick and long it is. To make sure your wrap is the best size for you, put your hair up in a top knot and measure around it so you have a good idea of how big your wrap should be. To make your own floral wrap, all you need is a long floral stem, wire cutters, and jewelry wire. Simply cut the length of floral stem you want, wrap it in a circle and attach the ends together with the wire. 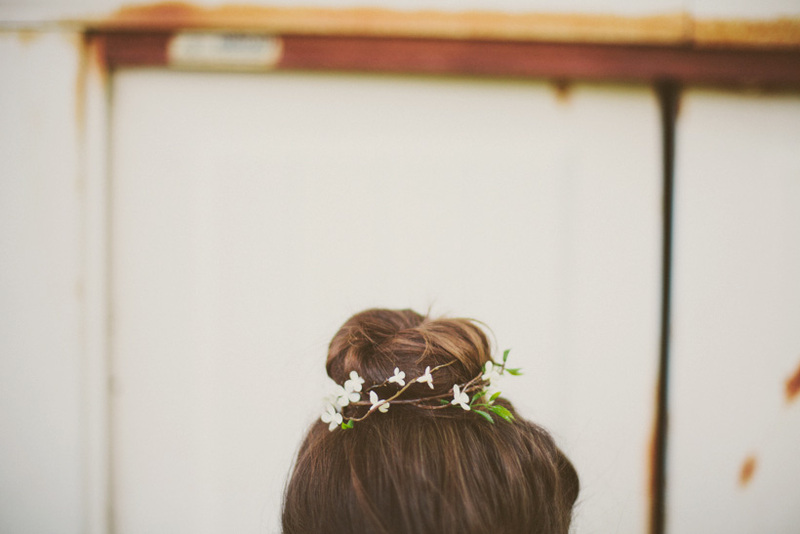 To wear, put your hair in a top knot and put it over the bun and arrange it in place. I think my favorite way to style this wrap will be with a black and white striped shirt, denim shorts, and ankle boots. 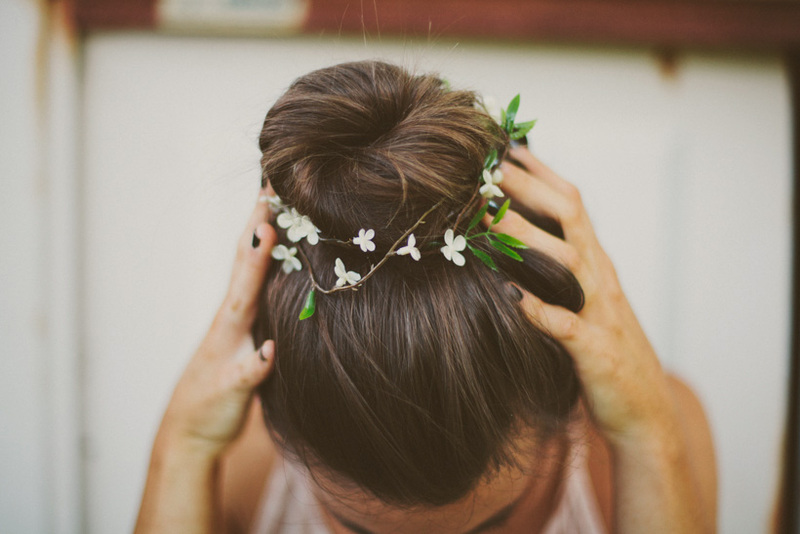 How would you style a floral bun wrap? LOVE this! I am in the process of growing out my hair, so hopefully I will be able to do this in the near future. Oh Kinsey that is simply beautiful! I saw one in a store and fell in love as well! Definitely going to be making one! This is so pretty! And it can take the place of your typical headband or clip as an accessory. I might just try this out. Oh this really makes me want to grow out my hair again! This is so much nicer and more organic looking than the usual "uniform" flowers going straight across. Will definitely put this on my list of things to make! Lovely! I think I'd wear mine on days when I'm dressed really simply just to give some feminine flair. I feel like this is a much more subdued and "grown up" version of the flower crown which has been so popular this summer. Will definitely be trying this one out! So cute, I love how that looks! so pure and simple! love it! This is adorable! I love it. A nice change from the flower crowns. This is SO so gorgeous. This is pretty, pretty, pretty. Your photos never cease to amaze me! How do you go about giving peoples skin tones in your photos such a warm look? whoa seriously!? i love this so much! This is super pretty, so girlie I love it :)Pictures are gorgeous! You are so beautiful! Thanks for sharing this fun idea- I love it! I must put it on my DIY list of things to do. I cannot wait until my hair is long enough to do this. Unique way to wear a bun to my ballet classes!